Soul essence art is deeply intuitive, personal, spititual art that is created by Kari. The art works are all done by commission as each one is unique to the individual. It is essentially capturing the colour, feel, vibration....soul essence of the individual that it is being painted for. Creating these art works is a process of complete faith and surrender into the place of wisdom and knowing that we can each tap into. Surrendering into this space Kari recieves colours, images and feeling to be conveyed in the painting that are specifiacally for the person she is painting it for. These images are to assist in the connection to the divine, to life purpose, to deep remembering of Self. 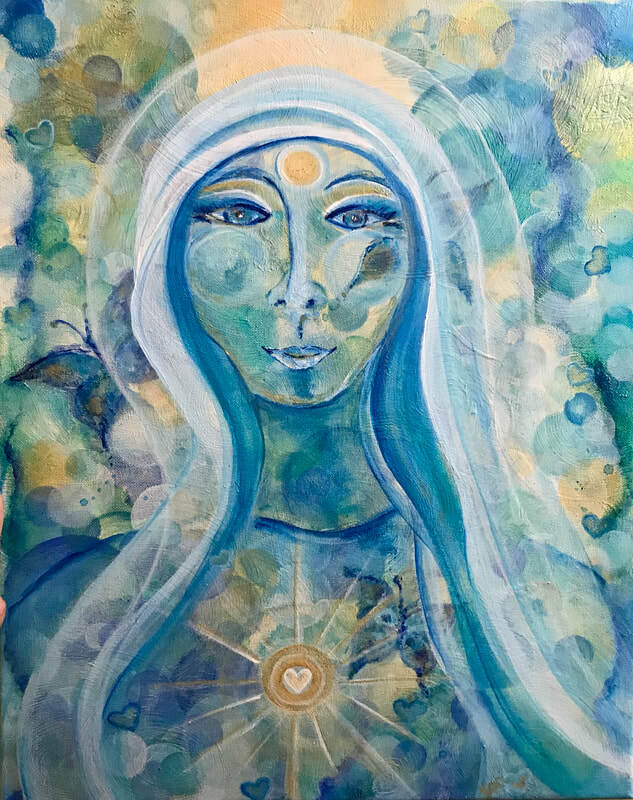 Kari loves to paint these special paintings, it fills her with a hightened sense of connection and and she feels truly on purpose as she brings these Soul Essence paintings into being. Please contact Kari if you would like to book a painting to be comissioned. Commissions are done by appointment as Kari will spend 30 minutes chatting and connecting with you and recieving information on a deeper soul level that she will then bring to life in your art work. The paintings will then be done withing two weeks.